Did you notice attendees at the 2018 Annual Conference & Expo wearing a special VIP Access badge? Are you wondering how to get yours for the upcoming 2019 Conference & Expo in Denver? Donate $1,000 or more to support any SME Foundation program during the 2018 calendar year and we’ll show our gratitude for your generous support with a VIP Access Pass. Partner with the SME Foundation in support of its essential programs and we’ll treat you like a VIP! 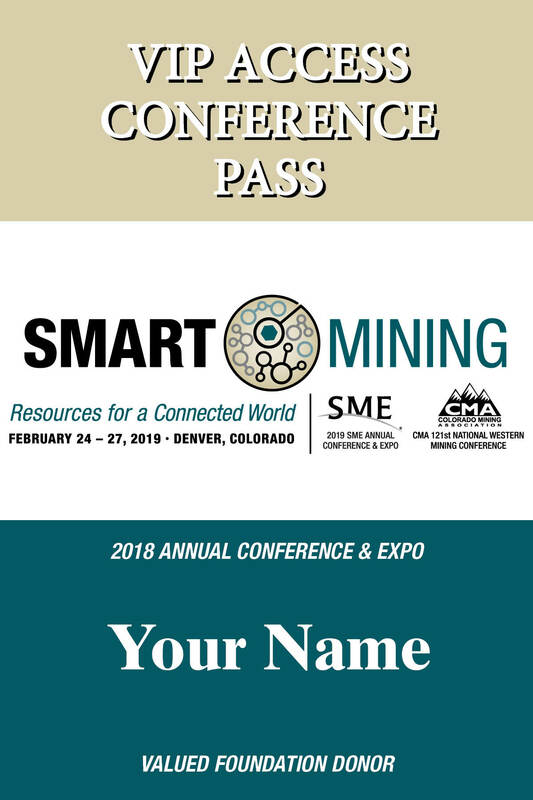 Donate online at www.smefoundation.org before December 31, 2018 to qualify for your VIP Access Conference Pass, or mail your contribution to: SME Foundation, 12999 E. Adam Aircraft Circle, Englewood, CO 80112.